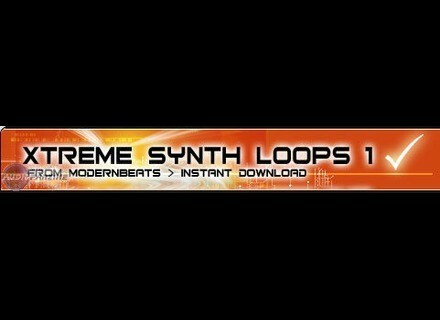 Xtreme Synth Loops 1, Synthesizer Sample from ModernBeats. ModernBeats Releases Xtreme Synth Loops featuring 200 mix-matching hip hop synth loops. Modern Beats debuts it's first synth loops library 'Xtreme Synth Loops 1'. Modeled in the style of 50 Cent, Flo Rida, Rihanna, Lil Wayne, T.I., Lil Jon, Alicia Keys, Timbaland, Stargate, Bloodshy & Avant, Dre, the Neptunes, and more The loopset features modern synth performances ranging from smooth pad beds to gliding monophonic leads to percussive spiccato phrases to pulsating arpeggiated rhythms and beyond. Each tempo group contains 25 original loop themes including 4 variation loops within each theme: "Hook1", "Hook2", "Verse1", and "Verse2". That's 200 loops across the entire loopset containing a total of 50 original synth themes. The loop library features a custom-programmed Acidized WAV format that gives users a wider range of variable project tempos and key transposition power within Acid Pro and all Acid supporting music software. Xtreme Synth Loops is offered as a WAV format download, priced at $39.95. Sonalksis Mastering Suite Sonalksis Mastering Suite now released. Virsyn Updates Virsyn has released bugfix updates for CUBE 2 (Mac only), Matrix (Mac only) and TERA 3. Mutools Mu.Lab 2.0 MUTOOLS has announced that MU.LAB 2.0 PreRelease E is now available.